A strong timeline should be part of every corporate history project. TIP: History timelines provide a logical way to organize initial research. Better yet, the finished products repurpose beautifully, as timelines work well on the web, across social media in bits and pieces, and in lobby or office displays. 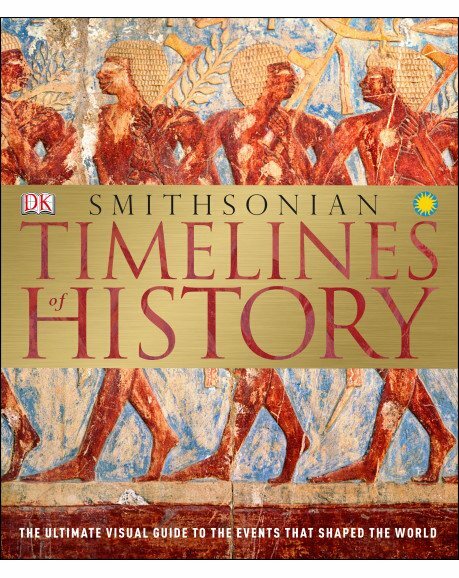 For inspiration, browse the Smithsonian Institution/Dorling Kindersley (DK) book Timelines of History (sample page below). To a person with a hammer, everything looks like a nail; to the DK brand, everything looks like a travel guide. But history is a trip through time, so the analogy is apt. And the book is a great resource if your timeline includes not just internal dates but outside events for context. Another helper in that regard is an oldie but goodie, Paul Dickson’s Timelines: Day by Day and Trend by Trend from the Dawn of the Atomic Age to the Gulf War, out of print but still available from used-book sellers. It covers 1945 to 1990 and is invaluable for lists like these: 1988 in ten words and phrases: Read my lips / Global warming / Trash TV / Fax / AIDS quilt / designer (as in designer pizza) / NeXT (as in a computer that was huge at the time) / narcoterrorism / sleaze factor / and “Senator, you’re no Jack Kennedy” — all very hot concepts at the time.